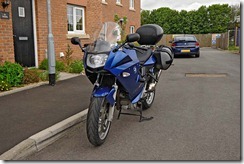 As I mentioned yesterday we went over to Southport Superbikes to have Helen's F800ST serviced before we go to Catalunya. 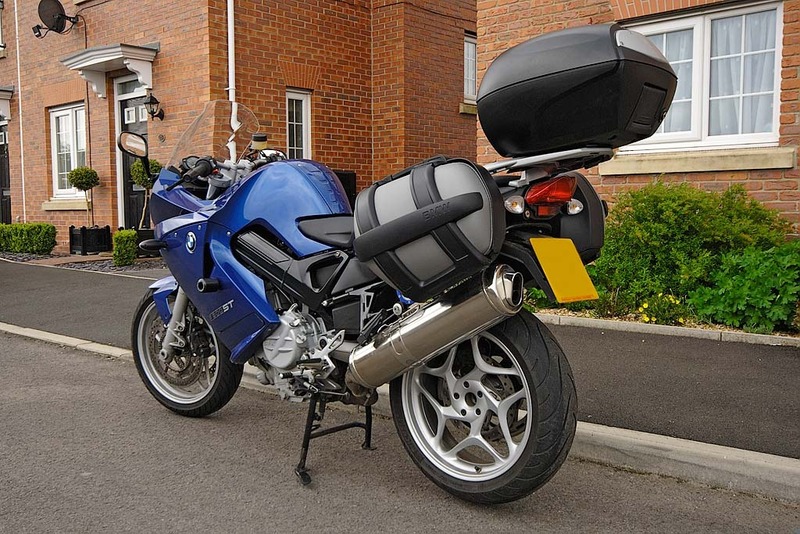 While we were there Helen had also arrange to have a set of BMW panniers fitted. 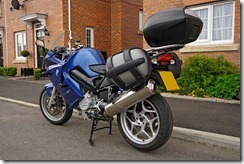 The bike had already been fitted with the rails by the previous owner so she only need the panniers themselves. They are quite nice looking things and very clever in the way that they can be expanded if required. Helen has just had a trail pack for Catalunya. 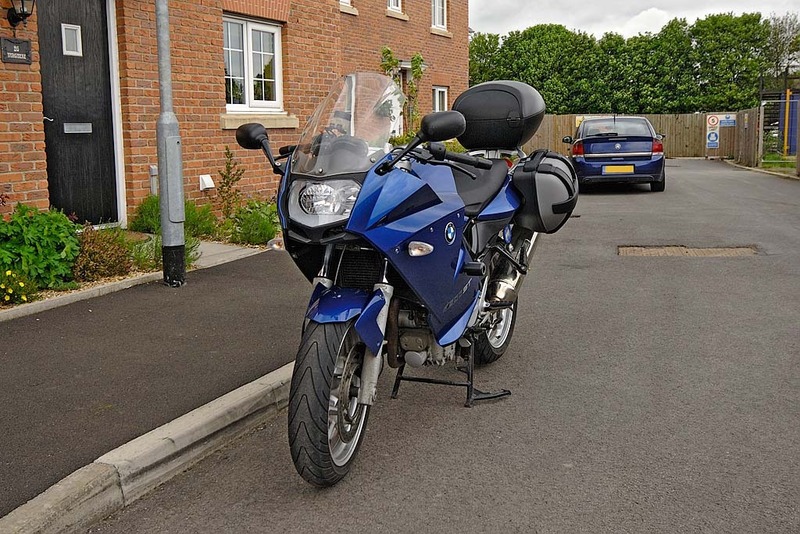 Which has also included a run out on the bike to get a feel for the handling with the extra weight of fully loaded panniers and topbox. I added a bit of extra preload and damping on the bike for her which was very simple as the bike has adjuster knobs for both.